Back when Android was still limited to the geeks and iOS was the bomb, BlackBerry came forward with their QWERTY keyboards to change the game. While the Canadian company had a good run, physical QWERTY keyboards were soon taken over by the virtual ones, and Android rose to prosperity. While the physical QWERTY keyboard is not even heard of these days, there are several enthusiasts who feel much more comfortable with the physical click of the buttons. Samsung is paying heed to such users, giving them the Samsung Galaxy S7 Edge Keyboard Cover to play around with. What this product essentially does, is bring the goodness of a physical QWERTY keypad to your state of the art Galaxy S7 Edge. The best part about this is the fact that the Galaxy S7 Edge Keyboard Cover for $25.82 on Amazon is selling fast, as it comes with a massive discount of 57% on the retail price. 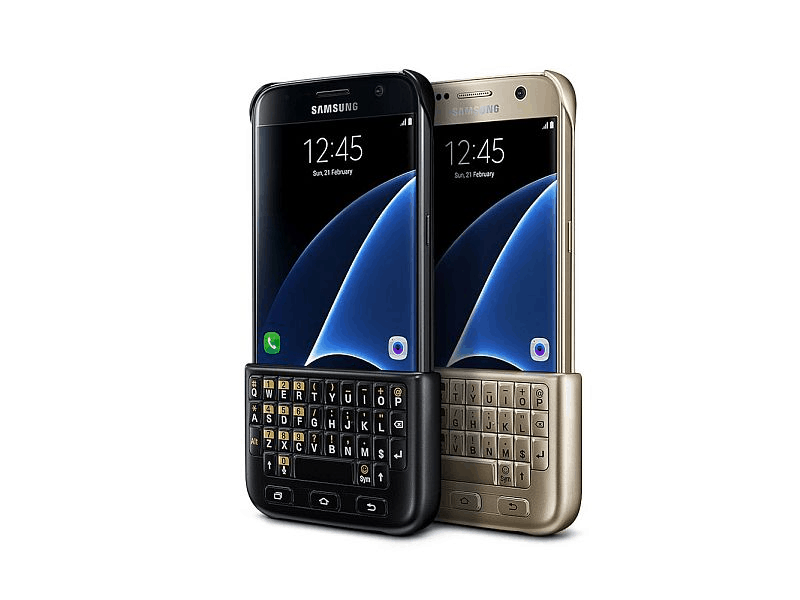 The detachable QWERTY keypad for the Galaxy S7 Edge comes with sturdy and ergonomic design, with an exclusive layout and hotkeys as well. The keyboard also incorporates the basic navigation keys as well, so you don’t have to take the keypad off every time you want to browse through different screens. Moreover, the QWERTY keyboard comes with an original Samsung molded polycarbonate case that adds a layer of protection to your smartphone. If you are a fan of the physical keys who misses the good old days, then head over to Amazon and buy this product right away.